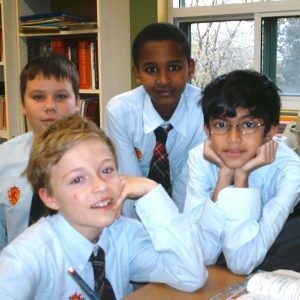 Scholars' Hall is the only nondenominational private school in Waterloo Region, and students from all faiths and all nationalities feel at home here. Scholars’ Hall provides courses of study at many levels of instruction, allowing students access to the University of their choice and providing a measurable admission advantage to the much sought after applied degrees at Ontario’s Colleges. Establish a Work Ethic for Life! The homework habit needs to be truly owned by a student in order to build a strong work ethic and initiative. At Scholars' Hall the "rule of thumb" for the total amount of homework assigned each school night is 5 minutes per grade level. Breakfast is the most important meal for peak academic performance. Start your child's day off right with a meal rich in protein and whole grains! This nutritional combo keeps kids energized and fuels brain power. Find out more about the programs we offer!